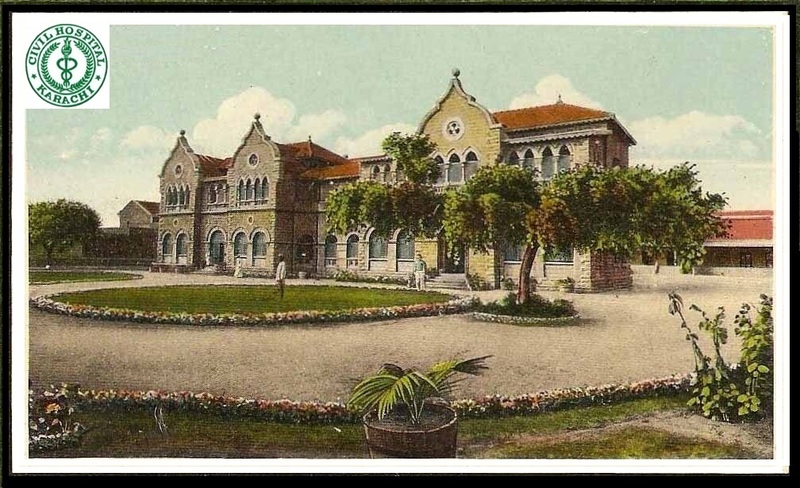 The Civil Hospital Karachi was founded in 1898 in the wake of a third pandemic of Bubonic Plague on the one hand, and the platinum jubilee of Queen Victoria on the other. The pandemic would kill at least an estimated 10 million people in India alone over a period of 20 years. It is important to mention the status of Karachi at that time. Being the port city, Karachi was the business, military and nerve center of Sindh right from the start. Towards the close of the nineteenth century, Karachi emerged as the cleanest city towards this side of the Suez Canal, with an estimated population of 105,000 which continued to grow in view of its strategic importance. Lord Curzon the Viceroy of India visited Civil Hospital Karachi in 1900 and unveiled a commemorative plaque to mark the platinum jubilee of Queen Victoria. The plaque is placed in the same spot, which was initially a nursing school and subsequently transformed into a state-of-the-art Burns Center in what is known till today as the Victoria Block or the Jubilee Block, while the entire building is heritage-protected by the provincial Department of Culture allowing for repairs and renovation but eschewing any structural change in its original design. The Civil Hospital Karachi continued to function efficiently until independence as the principal hospital of Karachi and received tremendous impetus after 1945 when the then Governor of Sindh Sir Hugh Dow transferred the medical school provisionally recognized by the Bombay University from Hyderabad to Karachi and laid the foundation of the Dow Medical College in its present location on 10 December 1945, with the Civil Hospital Karachi attached to it as a teaching hospital. The creation of a new state of Pakistan brought with it the need for a massive relief and rehabilitation efforts for hundreds of thousands of refugees pouring in from India and addressing all their basic needs including health needs through a largely inadequate and unprepared system. A visitor’s book maintained during the late fifties and early sixties indicates that the Civil Hospital Karachi was frequented by several dignitaries such as government ministers, ambassadors and eminent personalities visiting Pakistan. A 1961 entry by Lady Bird Johnson then spouse of the Vice President of the USA is particularly revealing: It reads: “This has been a visit both heart-breaking and rewarding. My hat is off to you women doctors!”  This indicates that health care professionals have been up against tremendous odds over the last few decades.